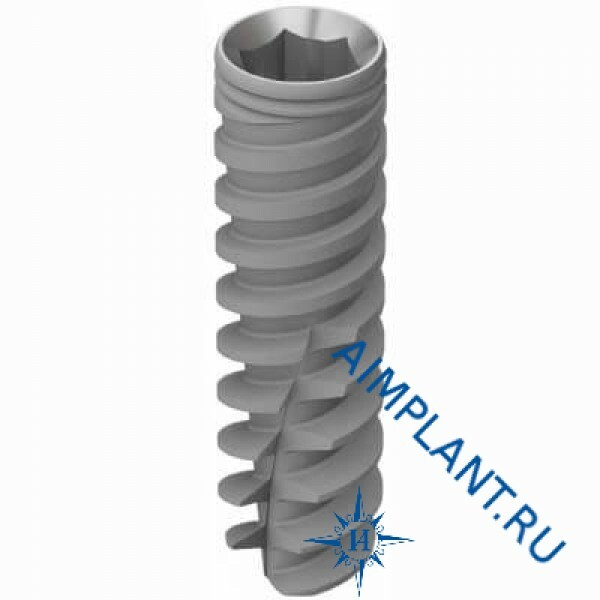 The implant Touareg-OS diameter 3.75 mm Tapered implant with a spiral thread, which compacts (condenses) bone, which allows to achieve high primary stability. 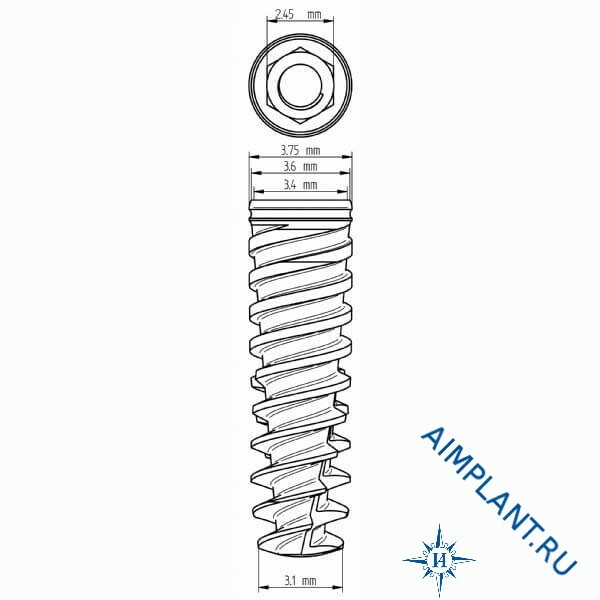 The conic form of the double-threaded implant, and changing the thread to ensure a more accurate placement, and drilling and increases the aesthetic quality of the implant. The prosthetic connection of this line of products is a standard internal hex for all implants, regardless of their diameter. OsseoFix — you will achieve superior contact of the implant with the bone, and also provides better mechanical fixation.